My room is X square feet, but we’re being told to order x+50 square feet of flooring. Is this really necessary? Yes, but 50 ft isn’t the magic number. Usually it is recommended to get an extra 10% to make up for cuts that are done and areas that need overage. If the room is perfectly square however it may be less than 10%. I love my three dogs, but have heard that pets can scratch up wood flooring. Is there anything I can do to prevent this? It’s amazing how our pets become like family! You definitely don’t need to get rid of Fido just because you are getting hardwood floors. Two suggestions we have? Get your pets nails trimmed regularly and use a TON of scatter rugs. I love how hardwood flooring looks, but it is an investment! How do I keep my floors looking new as long as possible? You will want to clean your hardwood floor regularly with a dust mop or sweeper. DO NOT use a wet mop or steam mop on your hardwood as the water can damage or dull the finish on your floor. If your little one (or big one) spills liquid, clean it up as soon as possible. Avoid walking on the floors with sports cleats or high heel shoes that are in disrepair. These can scratch the finish, or even dent the floor. Lastly, if the floors have lost their “new” look, find a wood floor cleaner that works with your floor. Use it as directed and you can restore that new look in no time! This entry was posted in blog and tagged floors, hardwood, investment, pets, protection, scratches on February 5, 2018 by merle. Why Does Winter Weather Matter to Hardwood? It’s winter, and you have decided to pull the trigger on that new hardwood floor…do you need to wait until Spring? While moisture is widely regarded as the biggest cause of wood flooring problems, not having enough humidity in the air can also be a HUGE issue, and in the winter, with the furnace cranked up, your house can be bone dry. So it is important to take both extremes into consideration when installing a wood floor…too humid, or not humid enough..don’t fret though, when Hoosier Hardwood Floors does your install, we do all of this for you. Here in Indiana (where we’re pretty used to humid summers, and falls) it’s vital that your hardwood floors are installed correctly to take into account the humid months ahead. If your floor boards have shrunk due to lack of moisture in a winter install, summer is going to be VERY long, and NOT because of the heat! Working with wood flooring materials isn’t an easy job. When high-quality wood is installed well, it can be one of the most beautiful and long-lasting flooring materials on the market. That is why it is important to have your homes humidity in the 30-50% range & temperature in the 65-75 degrees before during & after a hardwood floor install. Hardwood floors should have a moisture content between 6-10% when it is installed. Wood floors like to be at the same humidity & temperatures that we do. Flooring that is less then 6% when installed will LOVE sucking in the moisture come summer…and those beautiful hardwood floors will swell…and then shrink back down in the winter leaving you with gaps…this is NOT fun. Why a winter install might be the BEST time for you! So even the bleakest stories can have a silver lining, right? Because water, even in small amounts, can drastically affect your wood floors, wood floors are actually best installed in dry conditions. Also, because winter can mean a “tricky install”, it is a slow time for many companies meaning that you might be able to get a VERY fast turnaround on your job. 1. Acclimating the boards is VITAL. The boards need to adjust to YOUR homes’ temp & humidity levels before they are installed as often they been stored in a much different climate. 2. If you home is equipped with a humidifier, they will ask that it is in working condition & that it be set to the proper level in the wintertime. This entry was posted in blog and tagged hardwood, home, installation, tips, tricks, winter on January 2, 2018 by merle. It seems like everywhere you look people are using wide plank flooring! Whether on social media, at your brother-in-law’s Christmas Party or on TV, wide-plank is taking over; but is it right for you? Contrary to what some might think or say, wide plank flooring does NOT make your space look smaller. It’s interesting, even though the planks are wider, because of the visual tricks wide plank plays on your eyes, the room often appears even larger than it is…not the other way around! Make the flooring the star! Who needs extra “center stage” pieces when your floor can be the star? Hoosier Hardwood is the best in the business of making this a reality! Lighter is better! When it comes to wall color, go with lighter colors to make the room seem more open. Simple is better in small spaces! Do not opt for larger furniture pieces and make sure you limit the amount of clutter in your space. So take the plunge! Wide-plank is great for small spaces, big spaces and all the spaces in between! Call Hoosier Hardwood today and let us help make that wide-plank flooring a reality in 2018! This entry was posted in blog and tagged home, home decor, love, small spaces, wood, wood floors on December 21, 2017 by merle. What is So Scary About Not Having a Professional Installer? Anyone who is reputable should have at least a few people for you to call and talk to. If they look at you like you are crazy or refuse to produce even one, you should tell them thanks, but no thanks. 2. Are they insured and bonded? Insured means you are covered if something goes wrong, and bonded means they are LEGALLY obligated to finish once they have started, and you have recourse if they don’t. Make sure your installer is BOTH. Today everyone has a megaphone in their pocket..it is called a smartphone! With a few clicks, a person can tell thousands of people about the experience they had with you, and you should check them out online to see just how many people had something to say. 4. How long have they been in business? Is this a new business? That might not be bad, especially if the above 4 have criteria check out ok, but if they are brand new and have no history at all, you might never see them again after the check clears! So take a few moments and make sure that you are dealing with a person of integrity. It might sound cliche, but you don’t want to be a statistic! This entry was posted in blog and tagged hard wood, installer, love, professional, service on November 1, 2017 by merle. A company culture doesn’t just happen. Much like “quality” of a product is ALWAYS the result of intelligent effort, quality of the culture of your company is as well. Here are three things to keep in mind every day to ensure that your company culture lives up to the quality of product/service that you provide. Sidenote: If your culture turns sour, your product service quality will as well! 1. Every person must know they are valued, every day. 2. Every interaction with your employees is an opportunity for you as a leader to model what interactions with your customers should look like. 3. Avoiding difficult conversations doesn’t make them go away, they just mean they will be more difficult when you finally have them! This entry was posted in blog and tagged business, company, company culture, employees, happy, SMART, western journalism on October 16, 2017 by merle. Dander. Dust mites. Sneezing and coughing and sneezing some more..that is the reality for many who have carpeting in their home, and many of them aren’t aware that their carpet might be the culprit for their misery. Today we will look at 3 things your carpet might be hiding, and why it might be time for you to switch to hard wood floors! 1. 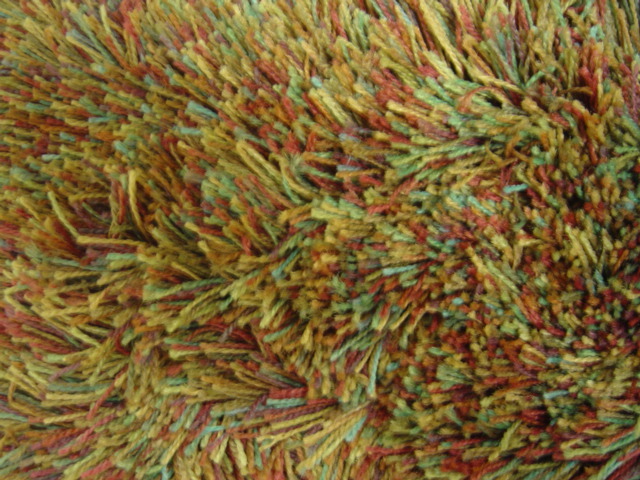 Carpets can contain 100 times more allergens than hardwood floors! You read that right! 100 times more! Now many of us might not struggle with allergies, so this might not be as alarming to you. Those of us that have year round issue though know that getting rid of that amount of allergens can seriously increase your quality of life. While a square meter is 11 square feet, and 67 grams sounds like a small number (1 M&M is approx. 1 gram), consider how much this might affect a 9-month-old child that crawls or is on the floor a good percentage of their day! 3. Dust Mites produce up to 200 times their body weight in waste every day! I know…ewwww, right? 200 times their body weight is a TON of waste (almost more waste than the 9-month-old produces that we referenced above!) The important thing about this fact is that people aren’t allergic to the dust mites themselves, they are allergic to their waste! That means that for every 1 dust mite that you have, 200 times their weight of allergen is being released into your home daily, and carpeting is where these little buggers like to hang out. So it might just be time to pull the proverbial trigger and get hardwood floors. Especially if you have allergies, kids or are not super comfortable with large amounts of dust mite waste being a part of the cushy flooring that you currently walk on each day. This entry was posted in blog and tagged allergens, allergies, carpet, dust, hardwood on September 15, 2017 by merle. Many of us have heard it for years…” hardwood floors are the way to go!”, but it isn’t often someone explains why this is the case. There are many reasons to go with a hardwood floor, but today we are going to breakdown what we feel are the top 4. There is just something about the look of a hardwood floor, isn’t there? Though there are many floors out there that “mimic” the look of hardwood, none offer the actual look and feel of what hardwood brings to a room as it has a timeless beauty that can’t be duplicated. It is almost something that can’t even be put into words, but when a room has hardwood it just feels different…richer…homier & warmer. Carpet can be a nightmare when it comes to cleaning. 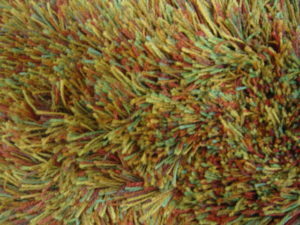 Have you ever gotten gum in a longer Berber carpet? Ever spilled Kool aid on a tan carpet? No one plans on these types of accidents, but they happen, and hardwood offers a much easier cleaning experience. High-quality hardwood floors can last for generations. Can anyone say that about carpet or linoleum? Even “wood look” flooring can need to be replaced several times before a hardwood floor needs to be replaced. So while it might be a bit more at the onset as far as overall expense goes, it makes up for it many times over when it comes to replacement cost and the opportunity cost of having your house torn up several times for flooring replacements. Planning on being in your home for more than a few years? Hands down, hardwood is the way to go. Hardwood flooring is a fantastic investment for you to make for your home, and it is something that people look for when buying a new home. So when a floor needs to be replaced, there are many facets to look at, and we encourage you to call us and let us give you a quote on any room that you are considering a flooring replacement in. You & your grandkids will love the quality LONG after the slight increase in cost is but a distant memory! This entry was posted in blog and tagged blog, goshen, hardwood, resell value on September 6, 2017 by merle. 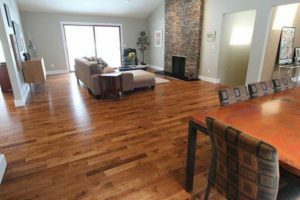 In our last blog, we started our discussion about why you should choose Hoosier Hardwood Floors. Today we will finish that discussion by addressing perhaps the top reason why you should choose us for all of your hardwood needs: Professionalism. 1. Contractors not showing up for an initial appointment. 2. Contractors not sending an estimate. 3. Workers showing up late (or not at all). This entry was posted in blog and tagged customer service, elkhart, goshen, hardwood floors, integrity, Michiana on August 17, 2017 by merle. Why Choose Hoosier Hardwood Floors (Part 1)? So the bottom line is this…will your less expensive option be there in a few years, and are they taking shortcuts in their sourcing that could leave you and your family exposed to damaging chemicals, or even death? You will never have to worry about that at Hoosier Hardwood Floors!! This entry was posted in blog and tagged 60 minutes, advantages, benefits, customer service, hardwood, quality, resale value on August 11, 2017 by merle. This entry was posted in blog and tagged floors, hardwood, home improvement, home sales, house on July 27, 2017 by merle. A hardwood floor can look brand new, even after decades of use. Ask about our floor care kits, to help keep your floor looking like new for years to come! If your existing hardwood floor needs attention, we can help. Call us for a consultation. We will work with you every step of the way to ensure that you get exactly what you're looking for, and that your hardwood floor will look perfect every time. The species of hardwood will make a big difference in the character and style of your floor, and Hoosier Hardwood Floors has the widest selection of hardwoods available. If you have questions, comments, need immediate assistance or more information, please call our Customer Service Team at (574) 533-2070 or fill out our contact form by clicking the "Contact Us Today" button. 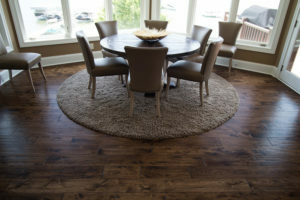 Supplying superior pre-finished and site finished hardwood floors and using local resources, Hoosier Hardwoods is dedicated to customer satisfaction.